A Little Help coordinates and partners with other local organizations for many social and educational events each month. A Little Help hosts mixers and picnics throughout the year, where members and volunteers can come together to enjoy a meal and get to know one another. The annual Holiday Party also provides a great opportunity for community members to connect and celebrate the holiday season together! We also organize events like monthly cooking and yoga classes, knitting groups, and movie matinees. Our Little Soirée is our biggest party of the year, complete with a silent auction, live music, and an open bar to raise funds and awareness to further A Little Help’s mission of enriching lives and strengthening our communities. Service Saturday! 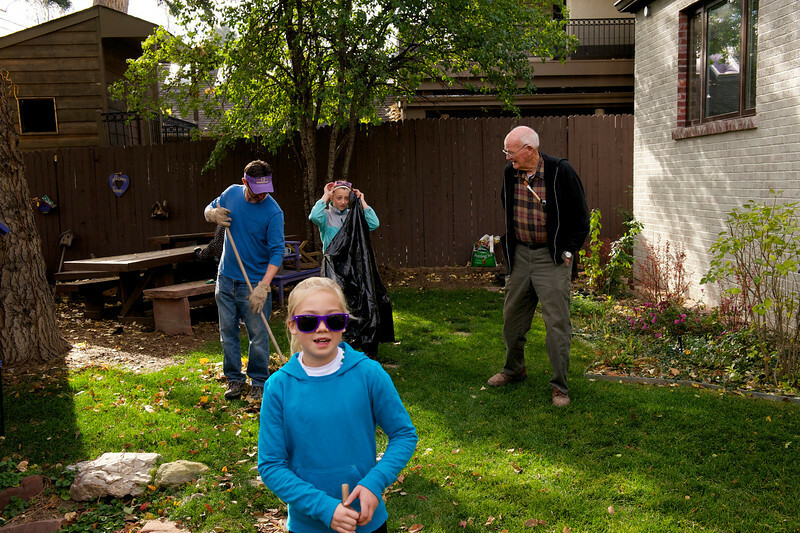 is a bi-annual event, held in the spring and fall, with hundreds of volunteers going out into the community to help our older adult members maintain their homes. Engaging in Aging is our annual community event to celebrate and explore various opportunities for active seniors! Come join your community and neighbors to this open event! Everyone is invited! Check out our calendar online or on the back page of each monthly newsletter to find upcoming events and opportunities to engage in your community.